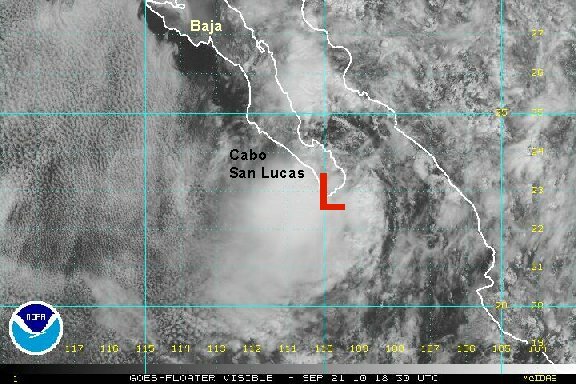 Georgette is a minimal tropical storm near Cabo San Lucas. Locally heavy showers are the main threat. Georgette has rejuvenated over the Gulf of California and is close to tropical storm strength. 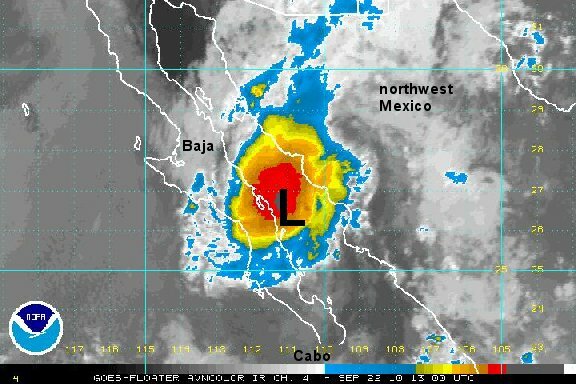 It is moving northward and will make another landfall today on the northwest coast of Mexico. Locally heavy rainfall of 2-5" can be expected in the path of Georgette which may cause flash flooding. The remnants of Georgette moved across northwestern Mexico into Arizona New Mexico yesterday and into New mexico and west Texas this morning. Georgette produced rainfall totals of .5" - 2.0" inches.